Brent Dolen and Sam English Sell Fort Locks Self Storage! Our very own, Phil Charmoli, ranked in SIOR’s Top 50 Industrial Transactions of 2018! How are commercial real estate professionals (brokers) paid for their services? What is a typical commercial lease term? What does CCIM stand for? What is the difference between a listing agent and a tenant representative? When should I start looking for a new space? What does SIOR stand for? Craig Collins closes on Dundee Place Apartments! What are the benefits of using an international commercial real estate firm? Louisville’s industrial market is HOT! Two Minutes with Steve Gray! Phil Charmoli leases 506,170 SF in River Ridge! Do I need a broker to help me find a space? Congratulations to our 2018 KCREA Brokers of the Year! To our nation’s heroes: thank you for your service. Two Minutes with Phil Scherer! Two Minutes with Jake Mills! Two minutes with Sam English! Two Minutes with Brent Boland! Two Minutes with Greg Charmoli! Two Minutes with Craig Collins! Two Minutes with Blake Scinta! Sam English sells Ashley Pointe Apartments in Elizabethtown! Two Minutes with Rick Ashton! 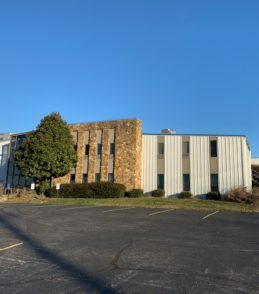 Robert Walker and Steve Gray sell 3 building portfolio in Jeffersontown, KY! 2018 Commercial Real Estate Awards – Congrats to E.P. Scherer, Phil Scherer, and Craig Collins! Two minutes with Robert Walker! Two Minutes with Jeff Dreher! Check out these awesome videos from GLI highlighting why Louisville is so great! Craig Collins named 20 people to know in Real Estate! Phil Charmoli Feautred in Midwest Real Estate News! Congratulations to our CoStar Power Brokers! Cushman & Wakefield ranked #1 by National Law Journal – 4 years in a row! Paced by industrial market, Louisville commercial real estate market is soaring! With New Construction Demand, Where Do The Older Buildings Stand? Oil or Natural Gas…Is the Landscape Gradually Changing for the Trucking Industry?